Nearly every time we post a photo of a really great tattoo removal someone asks “How many sessions did that take?” or “How long will it take to remove my tattoo?”. Short answer, we have had some tattoos go away in months, and others it can take years. The truth is, tattoo removal results are as individual as the client, and there are a number of factors that can effect the time it takes to eliminate a tattoo completely. Starting with the color and make up the ink. 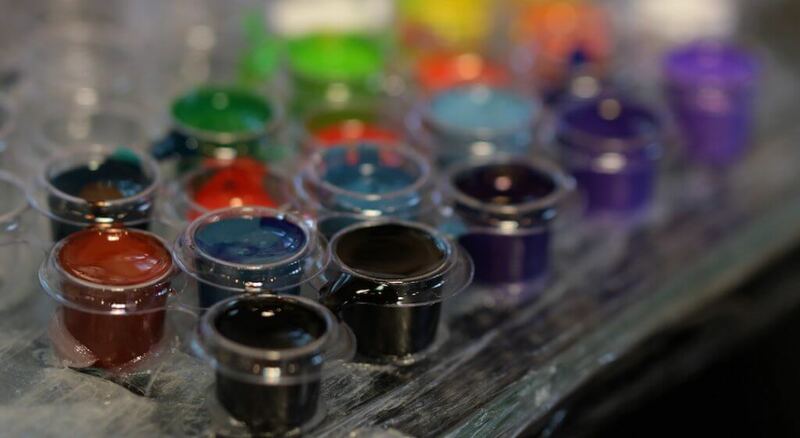 There are nearly a thousand of different mixtures of tattoo inks on the market, each comprising of a different combination of ingredients. The good news is, certain ink particles (like the ones found in black) can respond very quickly to laser treatment. Not all pigments or inks are as easy to remove however. Some colors, such as green, yellow and orange, have larger ink particles, and absorb the light energy from a laser differently. This means those colors generally take a greater number of treatments to break up the tattoo pigments in the skin. On a side note, a skilled nurse or laser technician should be tracking the progress of your removal, and based on how your tattoo is responding to treatment, should be adjusting the energy levels and wavelengths of the laser to maximize the effectiveness of your tattoo removal. The application of the tattoo plays a part too! How well was your tattoo applied? This has a impact on the results of your laser tattoo removal. It’s very common to see a professionally done, well saturated tattoo take longer to remove. 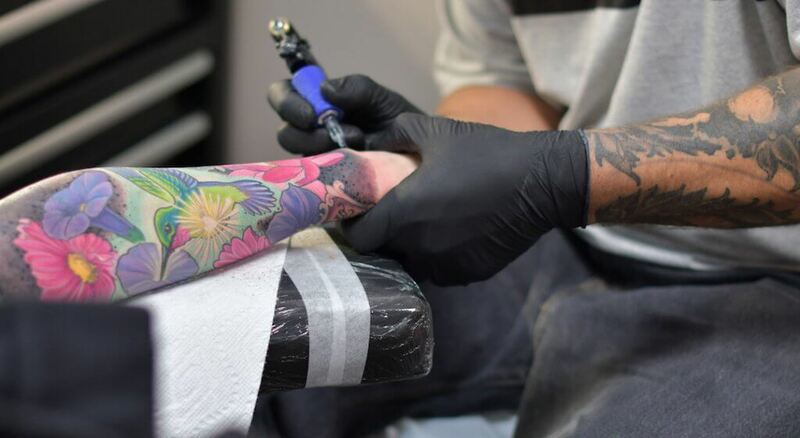 This is because an experienced tattoo artist will apply a greater amount of ink deeper into the dermis. On the other hand, amateur tattooers tend to make tattoos that are generally applied more unevenly in the superficial dermis with less saturation than tattoos done by professional artists. Thus, amateur tattoos often times respond quicker to laser treatment. Placement of the tattoo and your overall health and well being. Treating a tattoo with a laser is only one step in the overall process of laser tattoo removal. After each session, your body handles the actual removal of the tattoo ink. For the next 6-8 weeks keratinocytes, fibroblasts, and phagocytic macrophages under your skin isolate the broken up ink particles and take them out via your lymphatic system. The placement of the tattoo on your body plays a big part in the effectiveness of your removal because blood and lymphatic supply vary by anatomic region. As a rule of thumb, the farther away from your core, the lower the blood and lymphatic supply, and the longer it takes for your body to removal the ink particles. Additionally, those who are immune compromised or experience a less than ideal state of health and well being can expect a longer removal process. Cover ups and scarring can slow the process. In many cases overworked skin from a tattoo application or cover up, or complications from the healing process can lead to an overproduction of collagen in the area. This means permanent scaring can occur and you will have a harder time effectively removing and breaking up the ink particles in your tattoo. The same goes for the layering effects of a cover up. By applying a second or sometimes third layer of ink, the laser has 2-3 times more ink to disperse, thus increasing the time it takes to remove or lighten up a cover up tattoo. The topics discussed in this article are only a few of the factors that effect the overall time it takes to completely remove a tattoo. We have yet to dive into subjects like skin type, best practices for healing, laser technology, and technical abilities of the practitioner. All of which have an impact on your tattoo removal. If all of this sounds a little overwhelming don’t worry. We’ll continue to break down these topics in future blog posts. 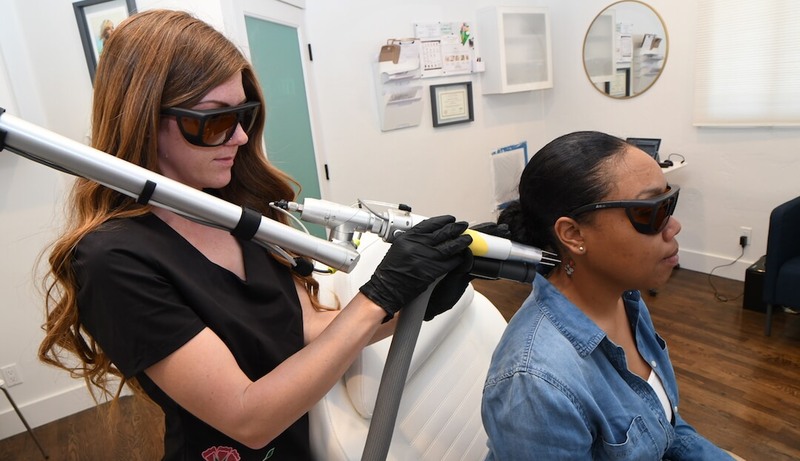 Of course if you have any questions about the process, we have an experienced staff including a doctor, registered nurses, licensed esthetician, and helpful customer service representatives all at your disposal. Just give us a call or email info@evolvetattooremoval.com.